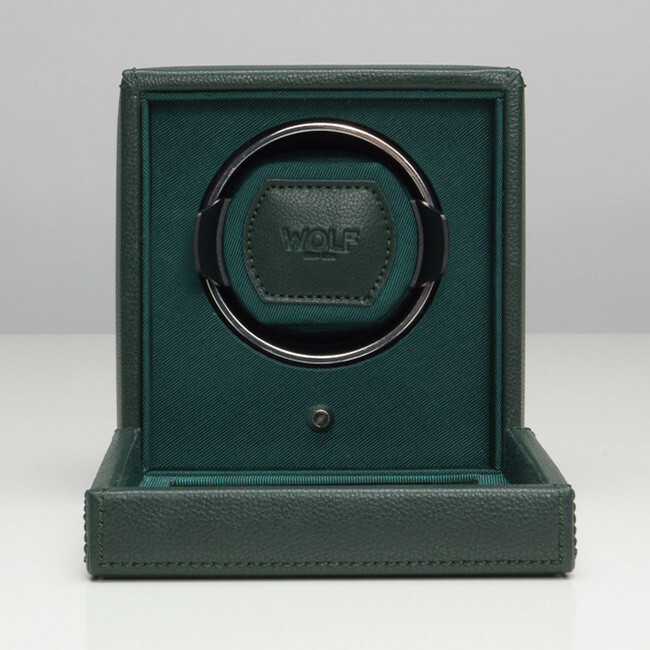 Wind and protect your automatic watch with this Cub collection watch winder from Wolf. 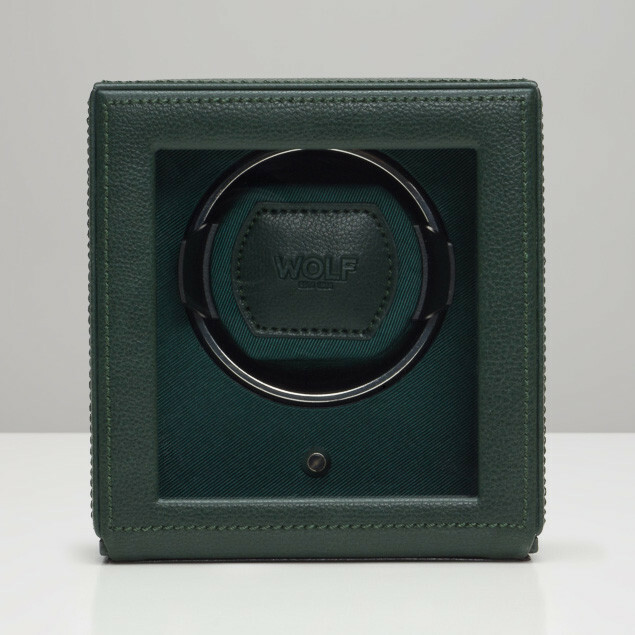 Crafted in green pebbled leather, the single winding module fits bigger, heavier watches. 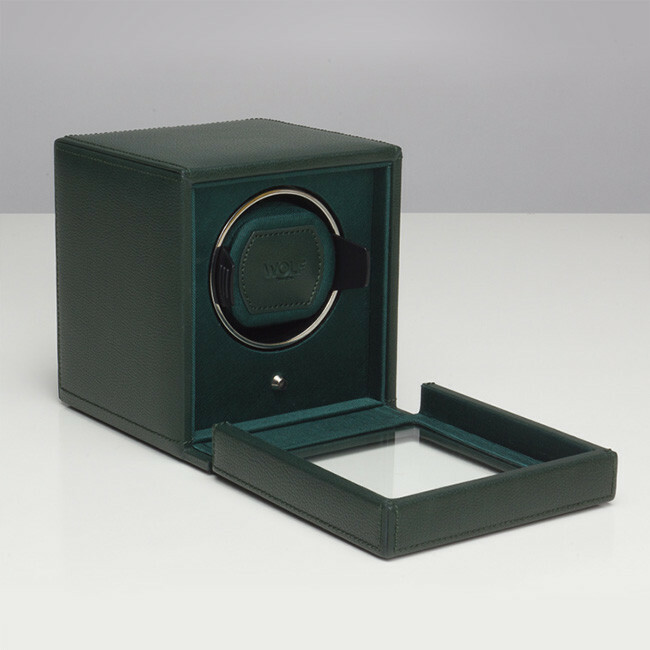 It features a green grosgrain faceplate, chrome-finished hardware and a glass cover. 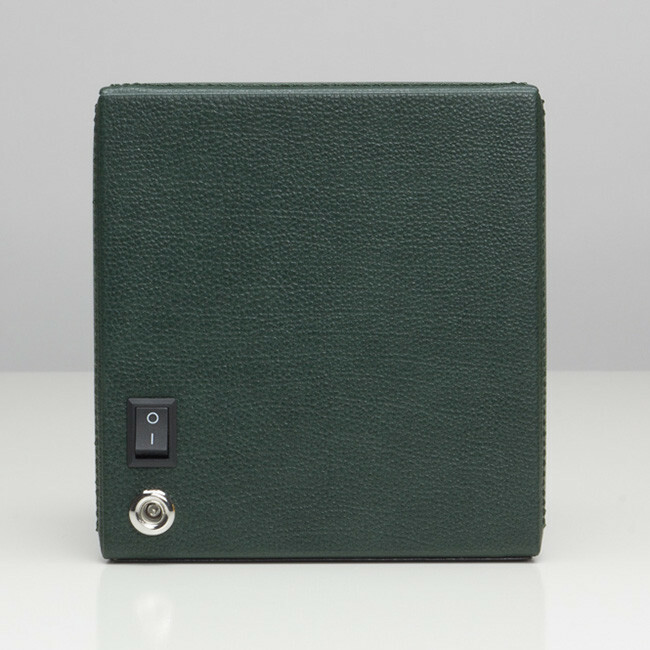 Enjoy 900 turns per day, intermittent rotation with pre-programmed phases, bi-directional settings and the option to run the unit on AC power or AA batteries. A universal adapter is included. 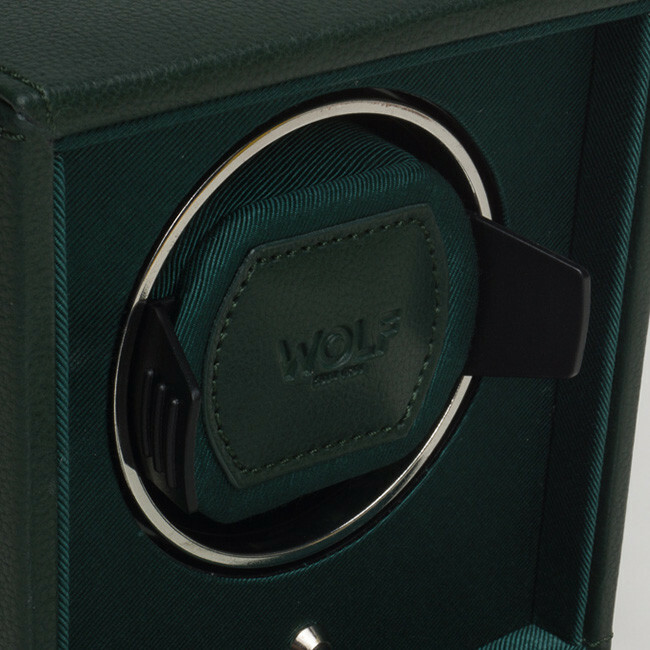 Your premium watch will benefit from a Wolf watch winder.